Prudence finds a job! And this time it has helped you! 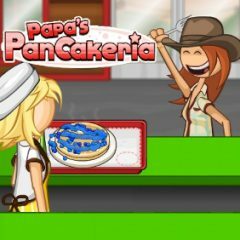 Help Papa run his pancackeria while he is gone! Learn how to make pancakes, accept orders from your customers and earn money by serving your customers fast!